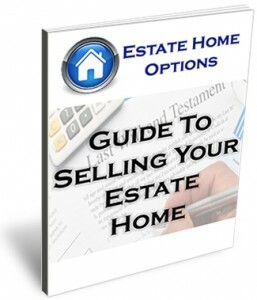 Learn the options you have to sell an inherited house when you don’t live here with this free guide. Selling an estate home can be a stressful and confusing process. And making the wrong decision based on your particular situation can make the process drag on needlessly for many months. But, when you’re armed with the right information, know all of your options, and can make a well educated decision… your odds of converting your inherited house to cash quickly with minimal stress and aggravation increase a lot. Download the Free Guide by entering your information to the right. We’ll email you the pdf of the guide so you can go through it at your own leisure. You’ll also receive other tips and help from our Estate Home Options team to help you make a well informed decision.